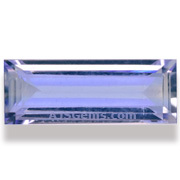 The standard way to organize gemstones is by gem species (corundum, beryl, quartz, etc.) 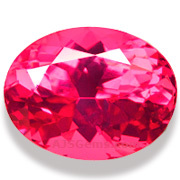 and variety (ruby, sapphire, topaz, spinel, etc.). 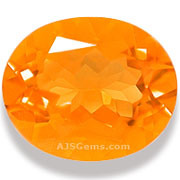 But for gemstone and jewelry collectors it is sometimes useful to organize gems by color. 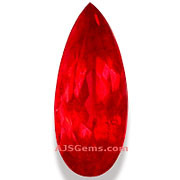 It provides a different overview of the gemstone world, and can be a timely reminder of the rarity of certain colors, such as red and blue. 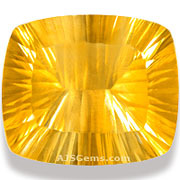 Since there is enormous variation in color across the many gem varieties, we have organized this chart around color families. 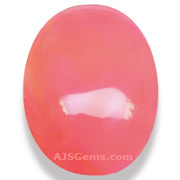 We have also included sections for multicolor, color change and star/cat's eye gems. 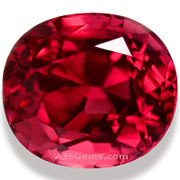 Red is one of the rarest colors in the gems world, and a pure red, such as the famed pigeon's blood ruby, is exceptionally rare. 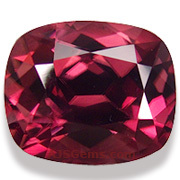 Most red gems are orangey-red (spinel), pink-red (spinel, garnet) or purplish-red (rubellite tourmaline). 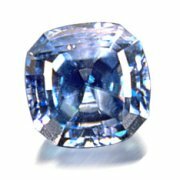 Though blue is a more common gem color than red, very few gems occur in a pure saturated blue. 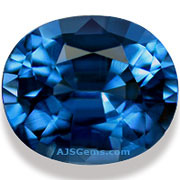 Sapphire is really the only example, though tanzanite sometimes comes close. 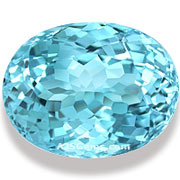 Other blue gems tend to be a grayish-blue (spinel, benitoite), greenish-blue (blue zircon, apatite, tourmaline, gem silica) or a pastel blue (aquamarine, topaz). 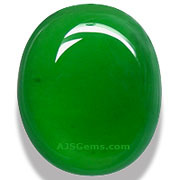 Green presents the most choices in the gems world, but many of the finest green gems, such as emerald, jadeite, tsavorite garnet and demantoid garnet, are quite rare. Green hues are mainly due to traces of chromium and vanadium or iron. 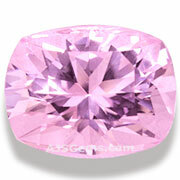 The finest pink gems are sapphire, spinel and tourmaline, with tourmaline exhibiting the widest range of pink hues. 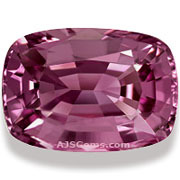 Kunzite and morganite are popular because they are relatively inexpensive and can be found in large sizes. 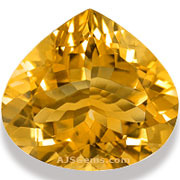 The most valuable yellow or gold gems are sapphire and imperial topaz. 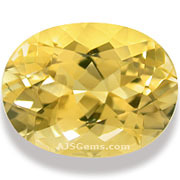 Citrine and yellow beryl are quite attractive, but relatively common. 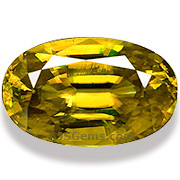 Yellow tourmaline is rare. 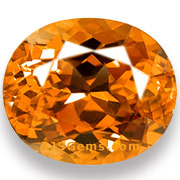 Spessartite garnet is considered the finest of the vivid orange gems, but a number of other gems can be found in shades of orange, including sapphire, spinel, tourmaline and mexican fire opal. 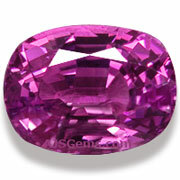 There are relatively few violet or purple gems. 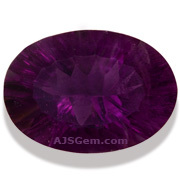 Amethyst is the most famous and by far the most popular for jewelry. 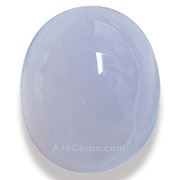 Sapphire and spinel can sometimes be found in violet, while chalcedony typically occurs in a greyish-lilac color. 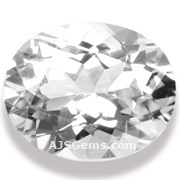 Diamond is the hardest and most valuable of the colorless gems, but a number of other gems have been popular over the years as alternatives, particularly white sapphire, white zircon, goshenite (white beryl), petalite and danburite. 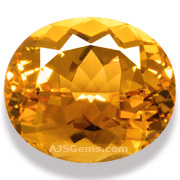 Some unusual gems displays regions of different color, notably the bi-color and tri-color tourmalines and the purple/gold quartz known as ametrine. 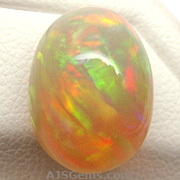 Opal is famous for its play of color. 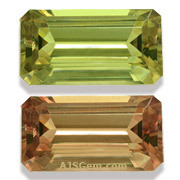 Some rare gems change color under varying lighting conditions. 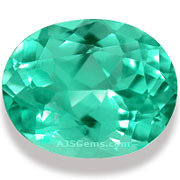 Alexandrite is the most famous example of a color change gem, displaying green or brown under daylight and a purplish-red under incandescent light. 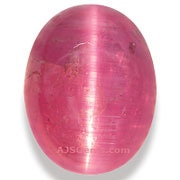 The phenomena of asterism (the star effect) and chatoyancy (the cat's eye effect) have been known for centures, and these rare gems are coveted by collectors. 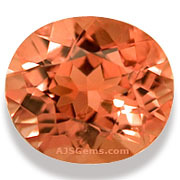 Star sapphires and star rubies are the best known gems that can display a star, while cat's eye chrysoberyl is the most famous cat's eye gem.